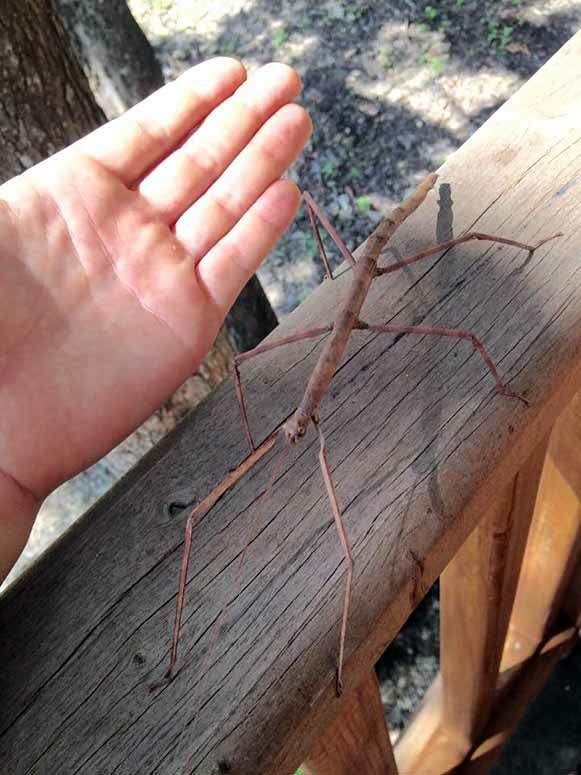 The Phasmatodea (sometimes called Phasmida) are an order of insects, whose members are variously known as stick insects (in Europe and Australasia), walking sticks or stick-bugs (in the United States), phasmids, ghost insects and leaf insects (generally the family Phylliidae). The ordinal name is derived from the Greek "phasma" meaning an apparition or phantom, and refers to the resemblance of many species to sticks or leaves. Their natural camouflage can make them extremely difficult to spot. 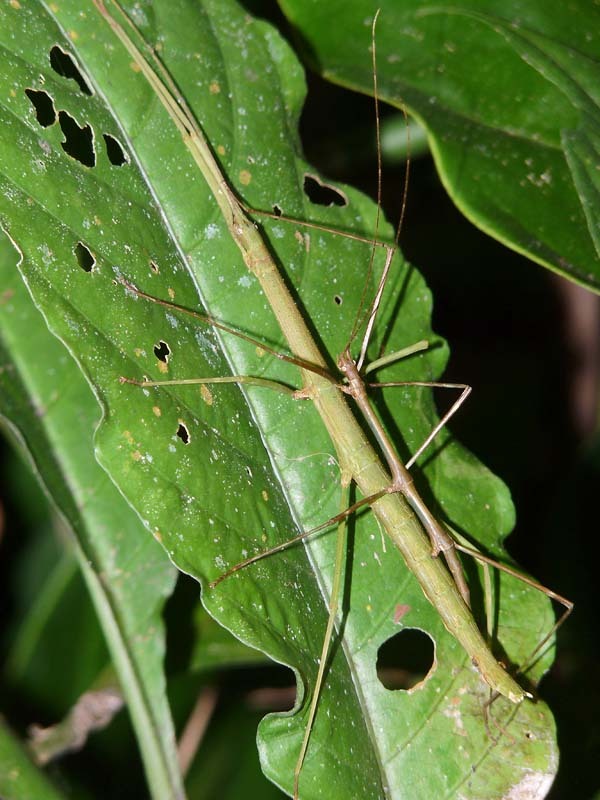 Phasmids are relatively large, elongated insects. 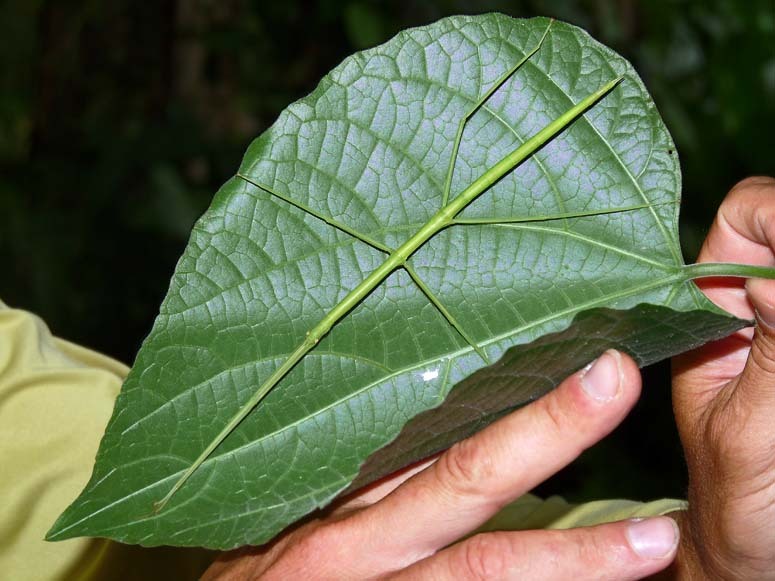 Some have cylindrical stick-like bodies, while others have a flattened, leaflike, shape. 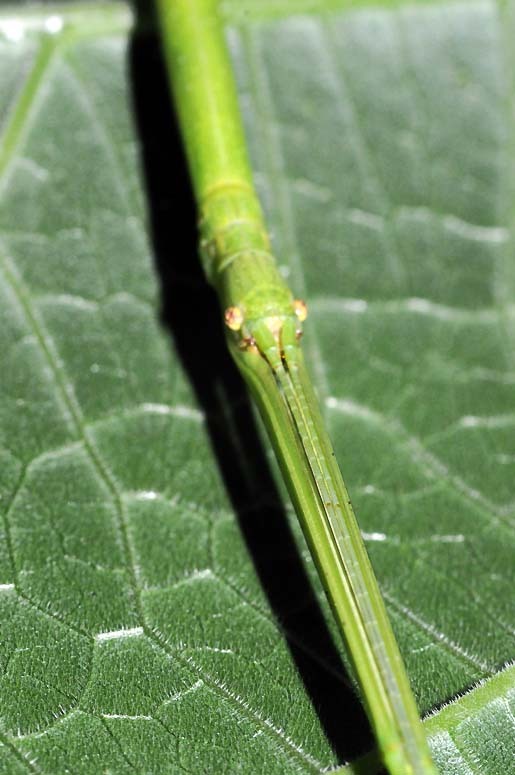 The body is often further modified to resemble vegetation, with ridges resembling leaf veins, bark-like tubercles, and other forms of camouflage. 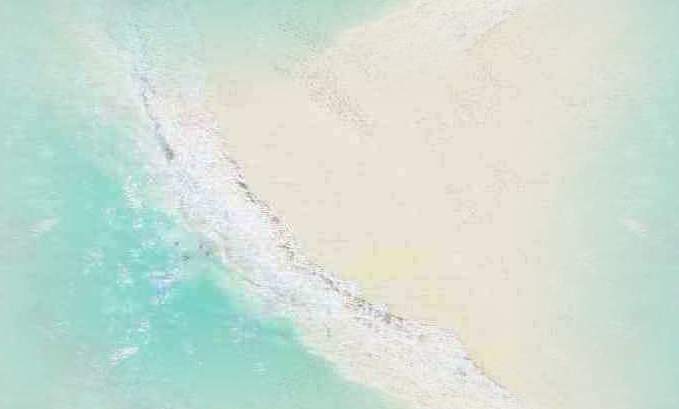 A few species, such as Carausius morosus, are even able to change their pigmentation to match their surroundings. Many species are wingless, or have reduced wings. The mouthparts project out from the head, and include typical chewing mandibles. All phasmids possess compound eyes, but ocelli are only found in some winged males. The thorax is long in the winged species, where it includes the flight muscles, but it typically much shorter in the wingless forms. Where present, the first pair of wings are narrow and cornified, while the hind wings are broad, with straight longitudinal veins and multiple cross-veins. 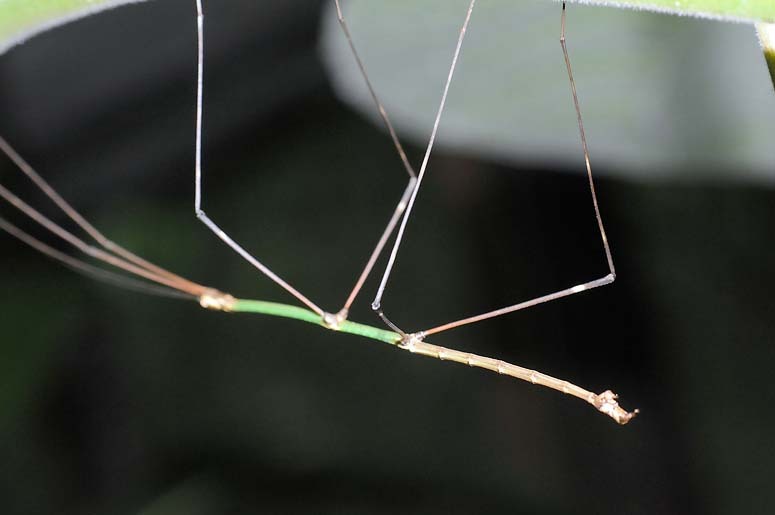 The legs are typically long and slender, and some species are capable of limb autotomy. A few species (for example those in the genus Anisomorpha) are capable of secreting a substance from glands on the metathorax that can cause an intense burning irritation of the eyes (and in some cases temporary blindness) and mouth of potential predators on contact. 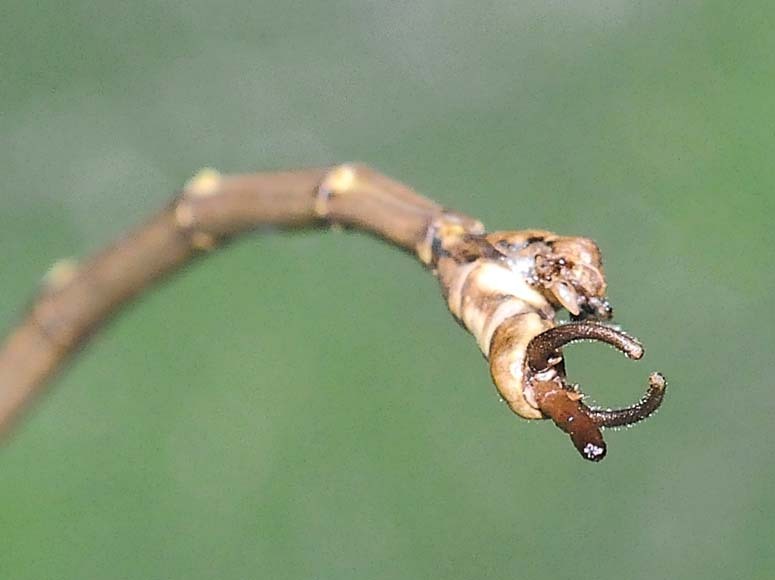 Phasmids are herbivorous, feeding mostly on the leaves of trees and shrubs. The females, which are usually significantly larger than the males, lay their eggs individually, either sticking them to vegetation or simply depositing them on the ground. A single female may lay from 100 to 1,200 eggs after mating, depending on species. The eggs are typically camouflaged, resembling plant seeds, and may remain dormant for a full season or more before hatching. The nymphs are born already closely resembling the adults. 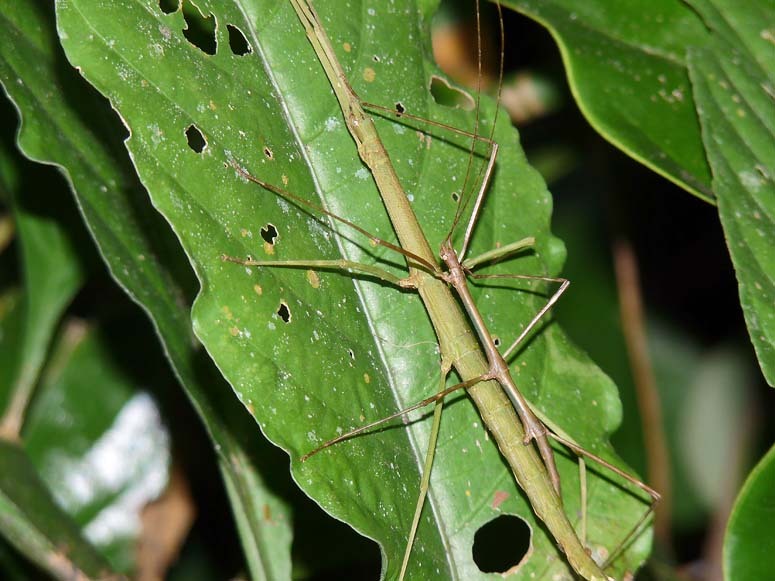 Stick insects, like praying mantis, show rocking behaviour in which the insect makes rhythmic, repetitive side-to-side movements. Functions proposed for this behaviour include the enhancement of crypsis by means of the resemblance to vegetation moving in the wind. However the repetitive swaying movements may be most important in allowing the insects to discriminate objects from the background by their relative movement, a visual mechanism typical of simpler animals. Rocking movements by these generally sedentary insects may replace flying or running as a source of relative motion of objects in the visual field.